This is what the place where I now live looked like about 202 years ago. 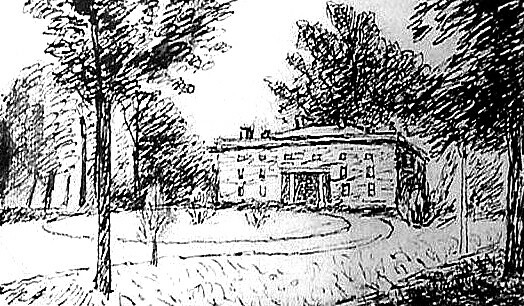 It is a watercolor sketch of Ury House by Benjamin Henry Latrobe. ...the similarity of the two drawings is virtually exact. Plus, the ground contour of Latrobe's sketch matches Ury's. "Much more tentative is the possibility of alterations to the countryseat of Miers Fisher. 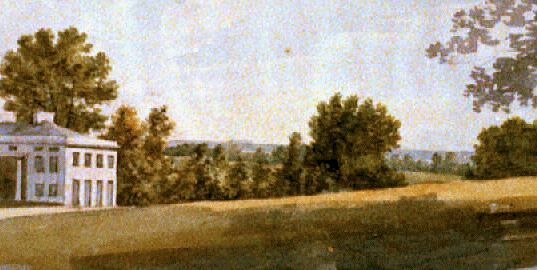 In the 1812 annual exhibition at the Pennsylvania Academy of Fine Arts Latrobe submitted a "View of the Seat of Miers Fisher, Esq.," probably a watercolor. 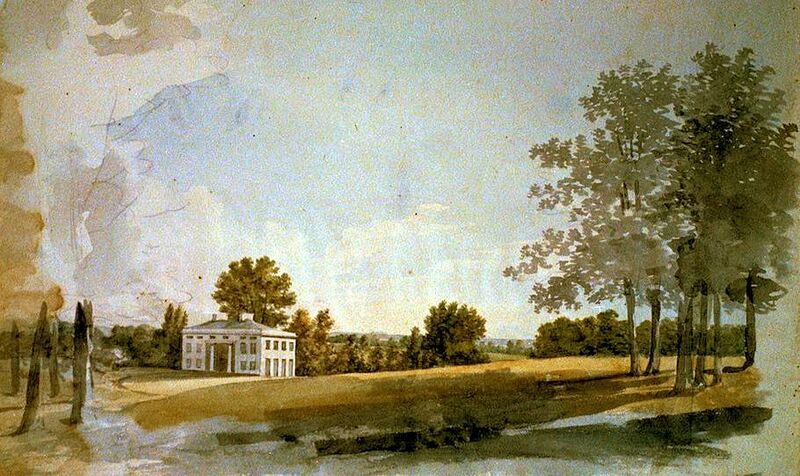 This was Ury, an old house some ten miles north of Central Philadelphia that Fisher had purchased in 1795 and added to "considerably." Latrobe's having drawn the house leads one to wonder if he might have played some professional role here." Miers Fisher kept a copious daily journal throughout all his years of retirement at Ury. I have a copy of his 1812 journal, but there is no mention of Latrobe therein. I feel very confident now, however, that were I to go and get a copy of Miers' 1811 and 1810 journal, I'd find Latrobe mentioned there. The much further altered Ury House was demolished 1974/1975. The house I live in now is situated approximately just within the left side of the gap in the tree-line to the right. In fact, some of those very trees in the watercolor may still exist today (albeit in my neighbors' yards). When I look out the window next to where I'm sitting right now, a little slice of the distant horizon is still to be seen.